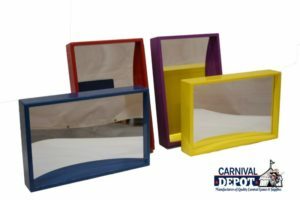 Planning a carnival may be an overwhelming job, therefore, Carnival Depot is ready to help. 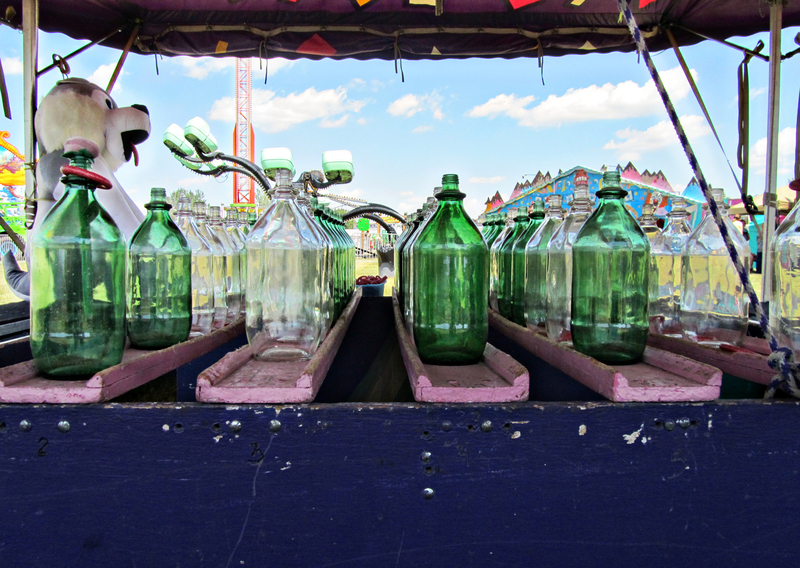 Over these decades of supplying carnivals, we have learned how to set up a carnival. Planning of a carnival requires teamwork. Gather a team of qualified individuals to allocate tasks and manage them. Roles can be assigned to team members on an individual level or in committees. We recommend committees since they facilitate the distribution of work and allow for brainstorming of ideas, issues that may come up, etc. Form a team and ensure they meet immediately for some information is necessary instantly for budget planning. Sub-committees and team members have to meet regularly to ensure smooth communication and smooth running of the process. The chairperson ensures the timeline is observed. Ensure all members are aware of the schedule, undertake their work, and facilitates correspondence between members and committees. Creates and oversees the budget, sets the prices based on the feedback provided by committees to guarantee profitability, gathers all receipts for both expenses and sales during the event, and comes up with a comprehensive report on expenditures and earnings. If you have limited personnel, the chairperson can also assume the treasurer role. 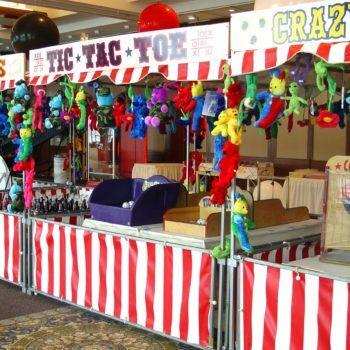 Selects the games to be played, facilitates the set-up of any games or hiring of games from rental businesses, prepares guidelines for game operators, and solves all game issues during the carnival day. Although one individual will be in charge, a game committee is recommended to help select the various games to be played and their guidelines. Short on carnival game ideas? To get ideas and ready-made games for purchase, click here. This committee selects the number of prizes, purchases the prizes, prepares the redemption center and manages the center. This committee should work in collaboration with the Game Master to decide the various prize levels and amount of prizes necessary for each game. In addition to purchasing new prizes, the team must also lobby donations from local businesses, parents, school staff, and PTA members for raffle prizes, etc. To get ideas for raffle prizes and redemption prizes, click here. This committee selects the food to be offered or sold and buys the food from vendors. It will also resolve any food issues on the D-day and plan on how to donate any unused food. He or she orders the carnival tickets and sell the tickets and bracelets at the carnival gate and at games entry points. Short of ideas on the necessary supplies and tickets? 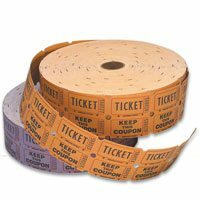 To get a list of the various tickets and wristbands selections, uses, and additional ideas, click here. This role can also be assigned to the treasurer if there is a staff shortage. Works together with all other units to decide on how many volunteers are required at each station, enlist volunteers, and sign them in on the D-day. If necessary, this role can be assumed by the chairperson. This committee makes decisions pertaining to the marketing or advertising of the event. It organizes for printing of flyers for posting, mailing, or for taking home by students. The committee is also in charge of decorating the venue or school in preparation for the event and erecting all applicable signage to guide carnival guests to the different activities such as games, washrooms, etc. Although overlooked, we recommend this committee since it is critical to get as many community members as possible involved and sticking around the carnival for extended periods which will translate to more purchases. This committee enlists entertainment and talent for the event. If you have a shortage of staff, the marketing committee can take up this role. The coordinator decides on the layout of the event, secures insurance for the carnival, and parking arrangement. Secure the appropriate insurance coverage that covers the entire event and meet all requirements for full coverage in case of any liabilities or accidents. This role can be merged with the volunteer coordinator if there is a shortage of staff. Create a budget that meets the fundraising goals. This is considerably easier to determine if the organization has held carnivals previously. Just go through previous data to estimate the total number of people to anticipate as well as the expected profits. Always remember that the critical goal is to raise money. As such, view all parts of the carnival as profit centers. For instance, sell bracelets that cover the costs of the prizes and games. Then have tickets that can be traded at food stands and in activities such as face painting and tattoo booths. Finally, sell raffle tickets for playing the grand prizes. Are you hosting a carnival for the first time? Below are some steps to assist you plan and budget. Estimate the total number of people expected to attend the event. Never hosted a carnival before? You can rely on data from similar events like fundraising events and plays to approximate the attendance. You can gauge yourself with other schools and churches when estimating attendance. The estimated attendance will be useful in deciding on the number of games to set up so that all guests will have adequate games and entertainment to ensure they are fully engaged. After obtaining the estimated number of attendees, furnish all committees with this information for use in the planning process. 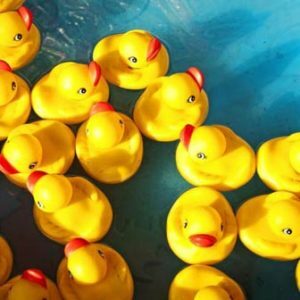 Using the estimated number of attendees, it is easier to decide on the number of games that will be necessary to keep all guests entertained. Below is a chart to assist in calculating this. Evidently, not all attendees will be waiting in lines or uniformly distributed between the games, nonetheless, this will provide a reliable idea of the number of games the Game Committee ought to prepare. If lines are too long, attendees may be bored easily. At a given moment, no more than 5% of the attendees ought to be waiting in a line. As such, in the above scenario, it is most appropriate to prepare 20-25 games. Given that some games will have varying popularity, set up two or more booths for the most popular games. 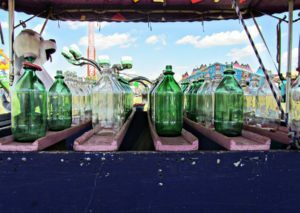 Short on carnival game ideas? To get ideas and ready-made games for purchase, click here. Task the Games Committee with preparing games and determining supply costs or rental costs per game. Each member can bring 5-10 game ideas that can be discussed and nominated in the meeting. Once the games are picked, each committee member can be assigned to research on one game to establish the costs, supplies, and other details to help in budgeting during the next meeting. Click here to access a form for helping to track each games supplies, costs, etc. After the games have been established, the Games Committee has to determine how much time is necessary to play each game so as to assess the number of players who can play a game during the designated time period. Similarly, the committee ought to decide on the number of winners per game to help the Redemption Committee effectively plan the prizes. The chart below will assist you to estimate the number of players per game. After the committee has collected all the data for every game (costs and vendors for each game, rules for the games, # of players, and # of winners) prepare a data sheet per game and share with all the committees. It is essential for the redemption committee and the treasurer to be furnished with this information immediately so that they can start planning ticket prices and redemption prizes. After the game sheets are ready, the redemption committee has to commence work. It should research on the various prizes they plan to parade and the cost of every prize. They can commence this process as the games are in the planning process but have to use the game info sheets to view the estimated number of players per game to determine the quantities of prizes required. Using the game sheets, the committee can finalize the specific prize levels, quantities, and prices required. Below is a table to assist in determining the total cost of prizes required per game. Replicate this procedure for each of the various games so as to arrive at a total cost of all prizes. Be certain to evaluate the number of pieces and the minimum order quantity amounts set by every vendor. To assist you planning, standard redemption prizes are usually sold in dozens (12 pieces) or in gross packs (144 pieces). You can purchase a few more prizes. This is a great idea since the extra prizes will ensure that you don’t run out of prizes. All you need to do is to ensure that the total costs per game include all the costs of all purchased prizes including the extras. Carnival attendants may at times decide to purchase additional tickets, as opposed to sticking with winning tickets to enable them to purchase the prizes they want. The extra prizes can be reserved for the subsequent carnival. Need ideas on how the redemption committee can begin? For ready-made carnival prize packages, click here. Will raffles be available at the carnival? The redemption committee ought to prepare the raffle prizes too. The committee can decide to buy prizes for the raffles or lobby donations from local businesses (community), parents, school, staff, and PTA members. Do you want attractive raffle prizes for kids? To access our collection Redemption Prizes, click here. Having played numerous games, the attendees will definitely get hungry. Ensure they are continuously playing and spending more money by selling food at the carnival. The committee has to discuss the kind of foods they hope to sell at the event and reach out to local suppliers to estimate food costs and rental costs. Limited on money and time? The food concessions committee can avoid putting up concession stands. Alternatively, it can reach out to local restaurants in a bid for them to set up booths at the venue and sell food. You can still boost your earnings despite outsourcing concessions. Negotiate with the vendors and lobby them to donate some percentage of their earnings to the carnival. Guarantee them that they will be listed on carnival flyers as sponsors and actively involve them in the marketing of the event as a way of advertising their businesses. After the committee has calculated all the costs, this information should be forwarded to the treasurer. Majority of the human beings have short attention spans. 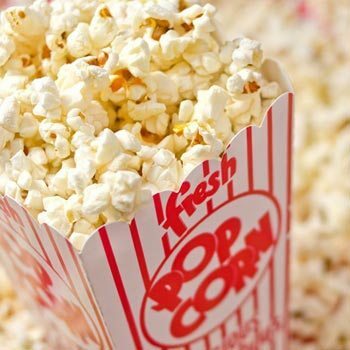 You can retain the attendees at the event by ensuring they are continuously occupied with alternative entertainment arrangements. This is also instrumental in getting the local community involved in the event. The committee can reach out to local clubs such as gymnastics, martial arts, and dance clubs and solicit them to offer free shows. Subsequently, the local businesses can embrace this opportunity to lobby new memberships. For schools that have an active music program, the music students may do a recital. You can also charge for specific types of entertainment that would otherwise be free such as face painting and bouncy castles are viable for fundraising. Ensure you compute the costs of all supplies and rentals related to the activities and give the treasurer a filled activity sheet. Erect a ticket booth at the carnival entrance to facilitate the smooth running of the event. It is recommendable to use tickets as opposed to cash since you get to lower the risks of theft or loss. Tickets also help to effectively centralize all the cash exchanges and ensure smooth traffic flow. Wristbands can also be sold at the entrance can also help eliminate cash and guarantee that every person who plays a game pays at the entrance. A game operator can observe whether individuals have bracelets before participating in a game. Sell tickets at the entrances to cater for additional expenses such as food concessions or activity booths. You can also sell raffle tickets at the entrances for all donation or high ticket redemption prizes. For more information on the various types of tickets and wristbands and their uses, click here. For any carnival to be successful in its fundraising efforts it has to be popularized or else it will fail despite rigorous planning. Establish a marketing committee that is tasked with promoting the carnival. Foremost, the committee will have to create flyers to be posted within and outside the school advertising the event. The flyers should clearly indicate the carnival venue, date, time, names of event sponsors, and a few key activities and games so as to entice people. Note that advertising messages should be brief and accompanied by fun pictures of people since pictures tend to be more appealing than words. The committee has to cater for the design and printing costs of flyers in the budget. If flyers and invitations are to be mailed to members of the public, the budget should also provide for these costs. The committee has to also carry out decorations of the carnival venue. The decorations should create an enjoyable and festive atmosphere while still being fully functional. Some of the guests may not be familiar with the layout of the venue, therefore, ensure you clearly identify key things such as entrances and exits, tickets sales, washrooms, activities, games, and food concessions. After the committee has determined all costs of posters, decorations, and signage, the information should be forwarded to the treasurer. At this point, every committee has met and decided on the kind of activities to be featured in the carnival. The facilities coordinator can now meet with all parties to discuss the venue specifications and design a layout of the venue. The layout should provide sufficient space for operators, guests taking part in games and activities, and spectators. Reserve sufficient room to help ensure the events flows smoothly without congestion. Work closely with the marketing committee to certify that everything is clearly signed and traffic is effortlessly directed using signs. What is the parking situation at the venue? If parking is likely to be a problem, the facilities coordinator can contemplate parking attendants. If the parking space at the venue is limited, consult with other neighboring organizations to secure shared parking spaces on the D-day or consult on the street parking regulations. Does the school or organization have an insurance cover in the event of accidents and other liabilities? Confirm that the insurance covers the event against such liabilities. All the rental companies should also have active insurance covers. Collect and file copies of all insurance proofs in the event that they are needed for any claims. Scrutinize all the requirements and responsibilities necessary for the fulfillment of any contractual responsibilities with the insurer and certify that all activities, games, and concessions comply in full. Once everything has been planned, gather all the budget sheets prepared by each committee and fix prices for tickets and bracelets. Take into consideration the need to make a profit and the estimated number of attendees and players to ensure you arrive at a good estimate of the expected sales. Securing event sponsors can help cover a significant percentage of the costs. Below is a table with a summary of a model carnival that shows how to compute the bracelets cost. In this model, all the carnival costs are catered for through funds generated from the sale of bracelets. Given that each carnival cost is catered for in the sale of the wristbands, ticket sales will be an additional profit center. The table below indicates the amount of profit that can be expected. This gives the best results if the job is done by one person, either the chairperson or the treasurer. This is effective because it centralizes the deliveries and all issues that might come up. Pre-order all necessary things necessary for the carnival in advance. Pre-ordering allows for sufficient time to opt for alternatives when delivery challenges arise. Generate an inventory checklist and cautiously examine whether every single shipment meets all its specifications. the delivery a week prior to the event, on the day before, and on the delivery date. If community entertainment will take place at the event, ensure you provide for specific meeting points and times. Game operators – Games will require a varying number of operators. Work with the game committee to ensure every game and activity is assigned adequate personnel. Entry – Selling of tickets and wristbands at the entrance should be done by 2-4 people. Redemption Center – Each redemption center should be assigned, 2-3 people. Runner – There should be 2-3 people within the venue of the carnival who can answer to queries from guests. Most of the guests are likely to be unacquainted with the venue and therefore it is good to have persons who can be consulted for directions. Runners can even help game operators when they need to top up their supplies or tickets. Clean-up crew – Have a clean-up crew to remove stuff after the event concludes. The carnival staff should stand out from the crowd. It is recommended that you purchase skimmer hats or staff badges and have all staff wear them. The volunteer coordinator should check in all volunteers as they arrive at the entrance on the day of the event. Ensure all staff and volunteers arrive 2-3 hour earlier on the D-day and begin preparing. For all games, activities, and equipment’s that are to be outsourced, ensure you confirm the scheduled appointments with persons who will be delivering them and inquire by phone the day before to re-check the time. The volunteer coordinator should arrive early enough to check in all the carnival volunteers and distribute identification materials such as hats or badges. Ensure that all guests access the venue using a single entrance. You should assign volunteers, entertainers, and vendors a different entrance. This will help prevent any chances of congestion at the busy guest entrance. Optimistically, the carnival was successful. Nonetheless, the task is not yet over. Conduct a final group meeting and let committees evaluate what worked for them and areas that require improvements. It is recommendable that the meeting is held immediately after the event when everything is still fresh in member’s brains. Keep records and future carnivals will be better off. This entry was posted in School Carnival and tagged school carnivals.